I am trying to figure out how I will be taxed as a single member LLC. Which forms do I need to use? When I pay myself, how much to I need to withhold for income tax? I understand that an LLC can be taxed as a sole proprietor but does that change if I give myself a salary or commission? Will I be taxed on both the profit from the llc and the income that I pay myself? Does that make any sense? Let’s start from the top down. As a single member LLC, you can choose to be taxed as a disregarded entity. This means that you use a Schedule C to report all your income and expenses and arrive at a net profit or loss. This net profit is what you pay taxes on. Hence, you want to maximize your legitimate business expenses on your Schedule C.
The LLC is not taxed separately as a company at the entity level–that is the purpose of using a pass-through entity like an LLC or partnership instead of a c corporation. In terms of paying yourself out of LLC profits, the simplest way is to simply write yourself a check. To figure out the right amount to withhold, it’s helpful to use software like Turbotax. In addition to income tax, you will also report Self-Employment tax. You are required to pay this at the end of the year. It is calculated based on your Schedule C and a separate Schedule for calculating the exact amount of your SE taxes. Coincidentally, your self-employment tax is reported on Form SE. 1. My husband and I are co-owners of an LLC. Is this considered a multi-member LLC for tax purposes? 2. In order to take advantage of HRA 105 for health insurance premiums, we are interested in changing the LLC to a single member, with my husband as owner and me as employee. We live in PA. However, I have done some reading on the internet and am concerned that the single member LLC will not be considered a partnership LLC for tax purposes, and that the veil can be pierced. Can you advise on this? 1. It can be, or it can be considered a disregarded entity by the IRS, and taxed as a sole proprietorship. 2. There is some confusion about being taxed as a partnership for single member LLCs. In the sense that you get pass-through taxation, SMLLCs and multi-member LLCs are both taxed as partnerships. The difference is how the tax is reported. 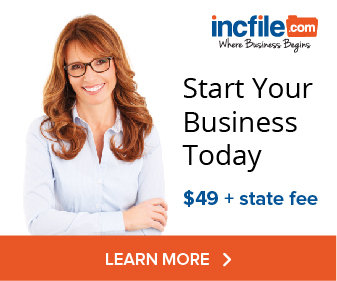 If you are a multi-member LLC, the LLC files an informational partnership return, Form 1065. It then distributes K-1s to each partner, which is used by each partner to complete their 1040. 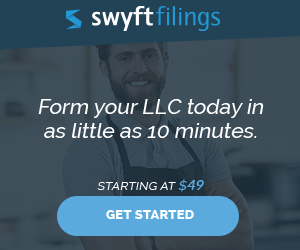 With a SMLLC, you don’t file a Form 1065 + K-1s, but instead list all your business expenses and revenues on Schedule C of your 1040. It cuts out on step of paperwork. In the situation where both members of the LLC are husband and wife, filing a joint tax return, you can see that whether you do a 1065 + K-1, or report the figures directly on the Schedule C, the final number in terms of tax owed is the same. So the IRS lets multi-member LLCs whose sole members are husband and wife filing jointly to file as a disregarded entity. As far as veil piercing, being a single member LLC, in of itself, is not a factor in piercing the corporate veil. If you follow the basic corporate rules (keep separate personal and business bank accounts; don’t commit fraud, etc. ), there is little risk of veil piercing. Veil piercing is unlikely to occur due to an innocent “mistake” by the company owners–it’s an extraordinary remedy, and usually employed by courts only when the owners are committing obvious fraud on their corporate creditors.